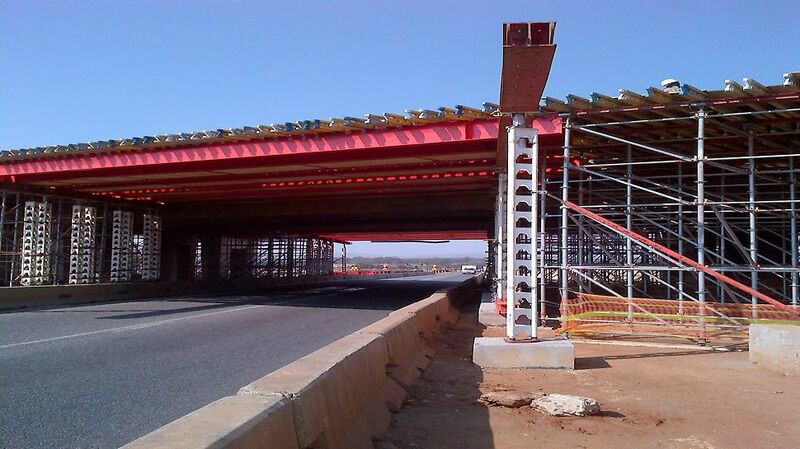 Due to the influx of traffic on the Simon Vermooten road in Pretoria, the existing bridge was widened by constructing new bridges on either side. 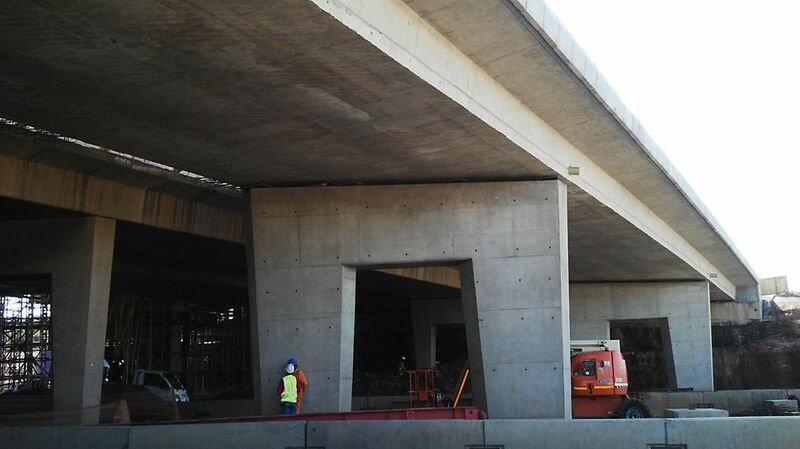 The project needed to take into account extremely high volumes of traffic crossing the existing bridge, and equally high traffic volumes on the N12 underneath. 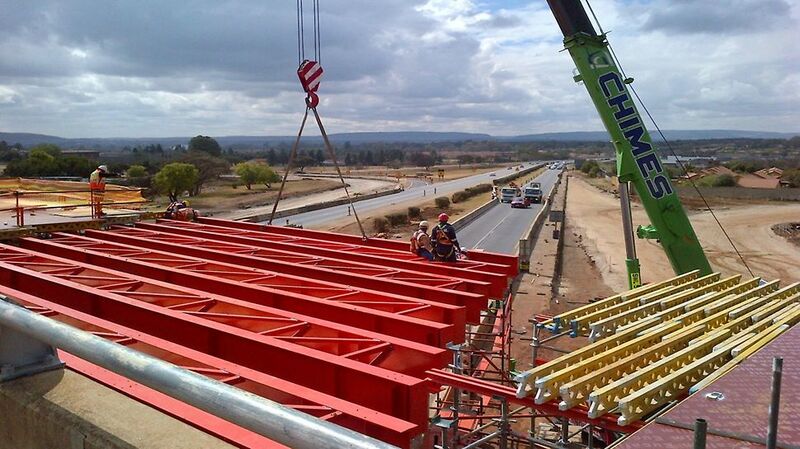 Both new bridges were constructed 700 mm higher than the existing bridge, which had to be lifted to form one bridge. The soffits on both bridges had cambers in both directions, which had to be catered for. The piers were challenging due to their size and the high-quality finish required. Manufacture of the side forms resulted in huge savings for the customer and contributed to the overall success of the project. 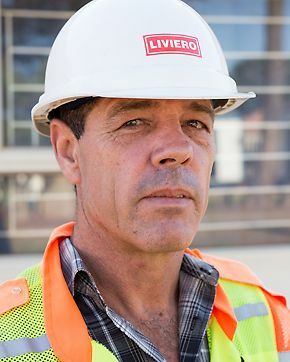 PERI’s vast experience, gained from a diverse product portfolio around the world, allows them to offer innovative solutions for effective and economical formwork. The staging for the new bridges was done with QUICKSHORE. 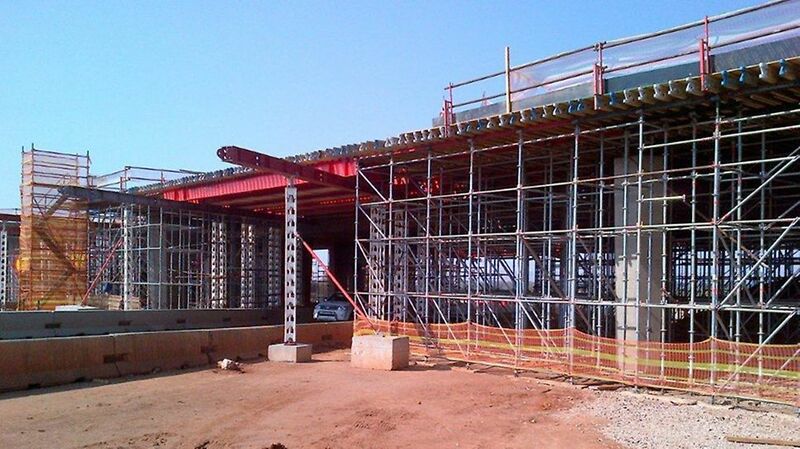 The PERI team had a limited timeframe in which to fabricate the VARIO pier shutters and the special trusses. 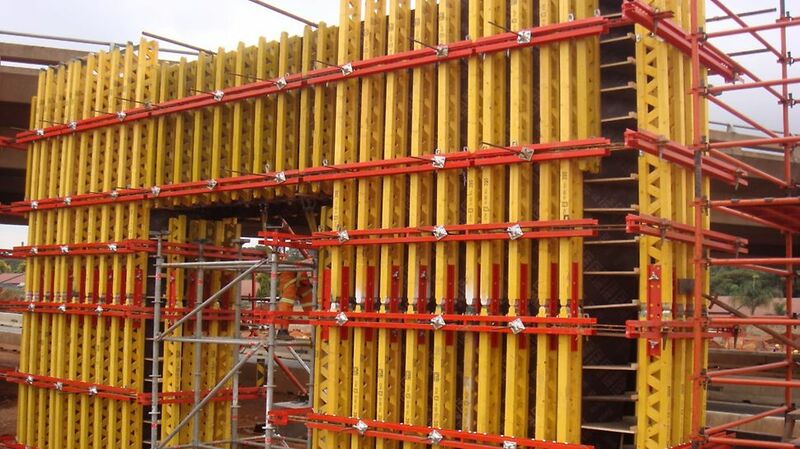 They decided to cast the piers monolithically, catering for the significantly increased fresh concrete pressure in the formwork. Two pier shutters were manufactured and used for four cycles. The side forms were manufactured in the VARIO workshop using old GT girders.